It’s once again my favorite time of year! To celebrate, we’re taking a little trip with a few characters as they vacation in lands they aren’t quite familiar with. 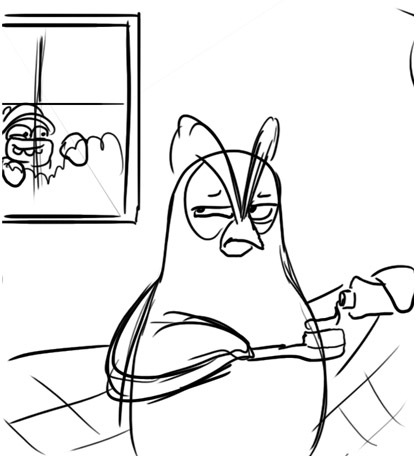 Today, we get to see a side of Dedede rarely seen in BitF as he puts the moves on a fellow full-bodied penguin…thing. 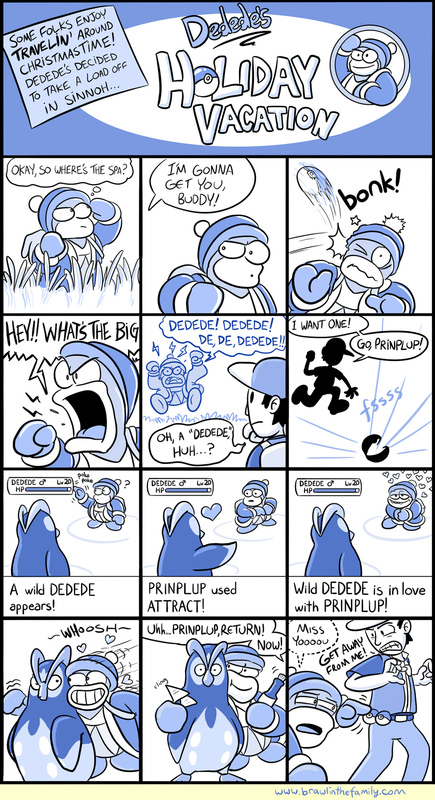 The initial ending of this strip involved Dedede following Prinplup around and calling her on the phone, but it didn’t quite make sense from a Pokeball perspective, or from the Trainer’s, so now it’s somehow even more creepy. Check back Friday to see what happens to our next vacationer! By the way, I’ve written a rather extensive review of the Wii U’s Nintendo Land on one of my favorite gaming websites/message boards, Negative World. It’s got the rundown on every game in the package, and then some, as well as a sort-of-original piece of art to boot! So check it out if you somehow ended up with the white Wii U or just want to get the lowdown on one of my favorite games of 2012.